A core element of Do>Learn>Do's business is the bespoke design of business games to meet specific client training objectives. 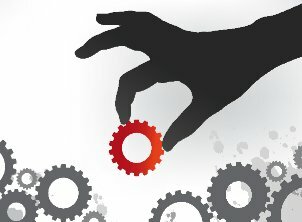 We have 30 man-years experience of building simulations and we believe that there is no aspect of modern business practice that cannot be simulated using computers. The process of designing a simulation usually starts with a client meeting to take a brief on the simulation requirements, a discussion on the budgetary and time constraints, and some initial thoughts on the approach we would take in designing and delivering the solution. Do>Learn>Do would then develop the idea and produce a proposal with full costs and timings. The technology chosen to build the simulation will depend the nature of the simulation and the level of complexity of the user interface. Our preferred platforms are PHP (for web based systems), Visual Studio, and Excel. Most (but not all) simulations are based around a demand model which manages the consumer demand for the products or service being traded, this is then linked to a supply model which maps the ability of the virtual company to meet demand for its goods or services. The flow of goods and services within the model is then used as the main input to the financial model which in turn will generate the profit and loss and other reports used in the simulation. One of the key design considerations is balancing the complexity of the model with the time available on the course to analyse data and make decisions. If the model is too simple the delegates will quickly run out of things to do and learning opportunities will be lost. If the model is too complex then decisions will be made in haste and the subtleties of the model will be lost. Another design consideration is to ensure that the outputs from the model provide enough information (if correctly analysed) to lead the delegates towards the correct commercial decisions. Finally the simulation has a natural progression in terms of complexity and competition so that the teams playing it are continually challenged and motivated.